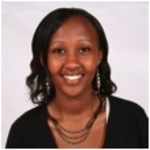 Allana Kembabazi is a Humanity In Action Senior Fellow and is currently in law school. She graduated from Wesleyan University in May 2011 with a Bachelor of Arts in Government. Her work has focused on human rights and social justice issues in the United States and abroad. During the summer of 2010, she worked for a non-profit organization in Uganda, where she researched human rights and mental health and wrote a human rights training manual for Ugandans with mental disabilities. She has implemented a project to use music for rehabilitation, and collaborated with a Ugandan non-profit organization, Bitone Children’s Center, to carry out the project. She continues to volunteer as the U.S fundraising coordinator for Bitone.